Having suffered through “The Host” and “The Mortal Instruments” last year, I wasn’t eager to see yet another movie based on a best selling book. The only reason I had any hope was the presence of Shailene Woodley (“The Descendants”, “The Spectacular Now”) in the leading role—and indeed, she is the main reason the film doesn’t completely implode. I’ve never read the book, which means I can’t compare the film with its source material. But I’m pretty sure I can still review it. The time is the future, where society has reorganized itself into five distinct factions based on personality types. At the age of 16, all youths must pick the faction where they will spend the rest of their lives, after an aptitude test predicts where they are best suited. 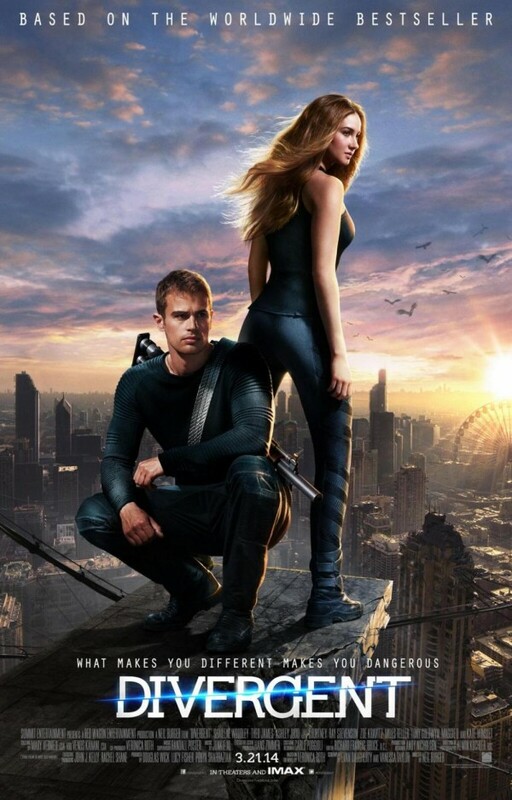 Enter Tris Prior (Woodley), whose test results prove inconclusive. What does this mean? You’ll have to see for yourself. At this point, Tris knows that something isn’t right, and only an actress like Woodley could pull this off without looking ridiculous. But what she is able to avoid the film itself cannot. I expected something better from director Neil Burger, whose track records are spotty (“Limitless”, “The Lucky Ones”, “The Illusionist”), but whose ambitions are great. But at 140 minutes, the story’s momentum flattens out at a certain point. My attention waned halfway through and was never restored. I can’t fault the acting. Woodley is solid in the lead and she is the saving grace of this uneven movie. She validates “Divergent”, as much as anyone could, the way Jennifer Lawrence anchors “The Hunger Games”. Watching her is almost worth the price of admission. Almost.